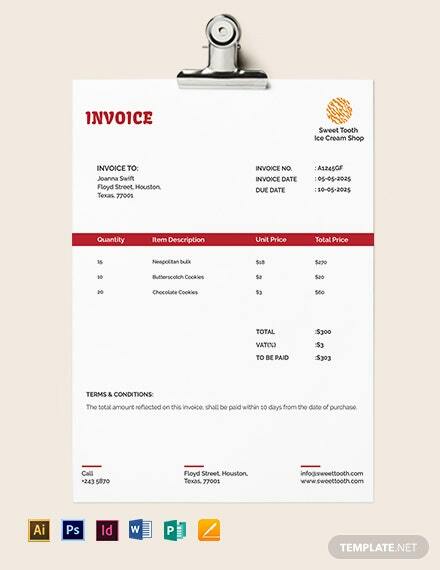 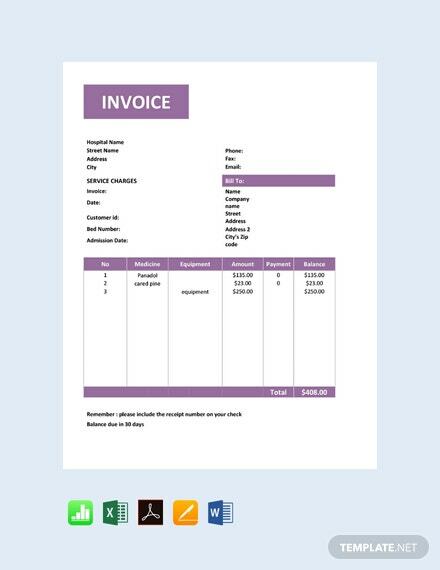 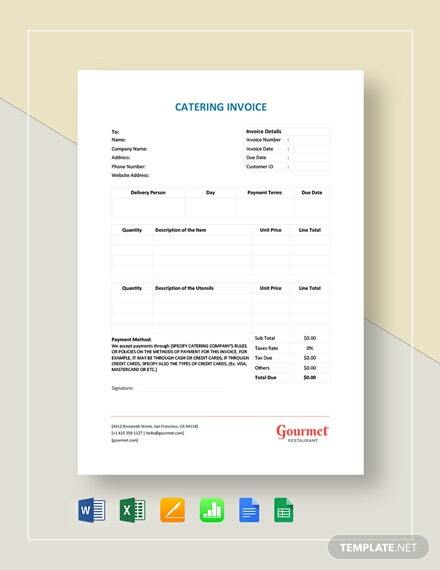 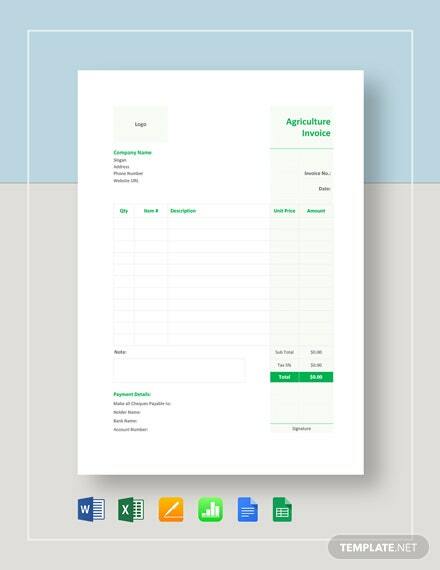 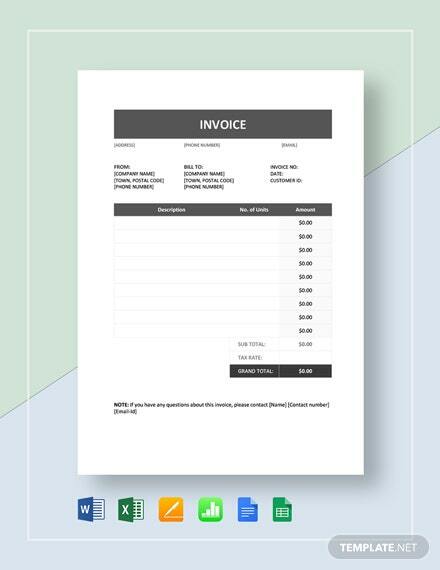 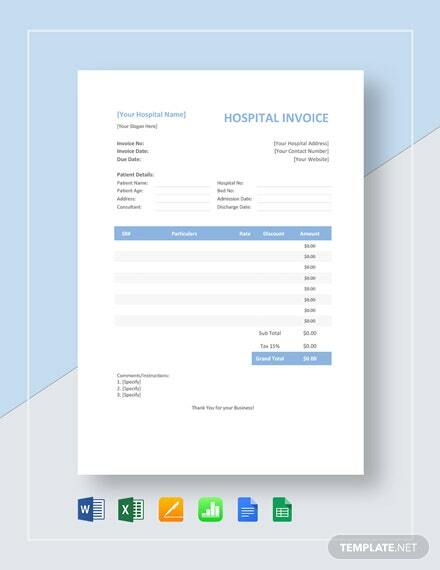 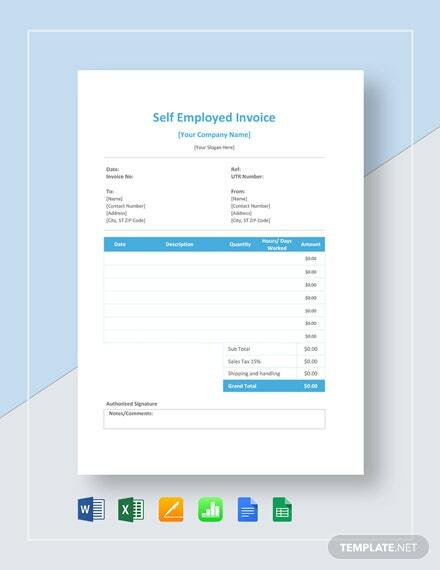 Get this invoice template to request payment for medical service. 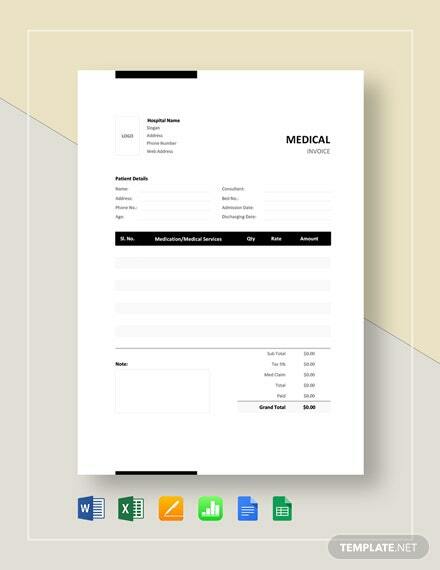 This template is easy to edit and customize in all versions of MS Word, Ms Excel, Apple Pages and Numbers. 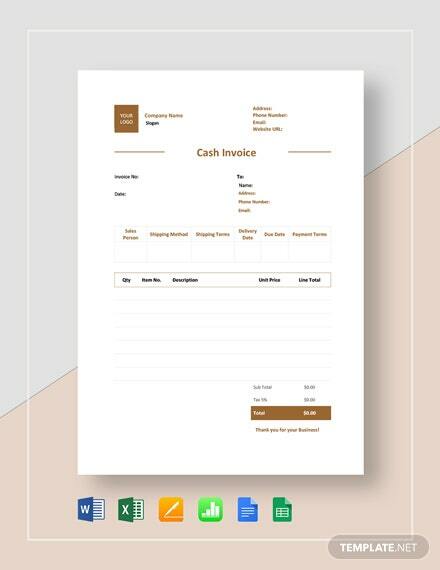 Download now for +More free.